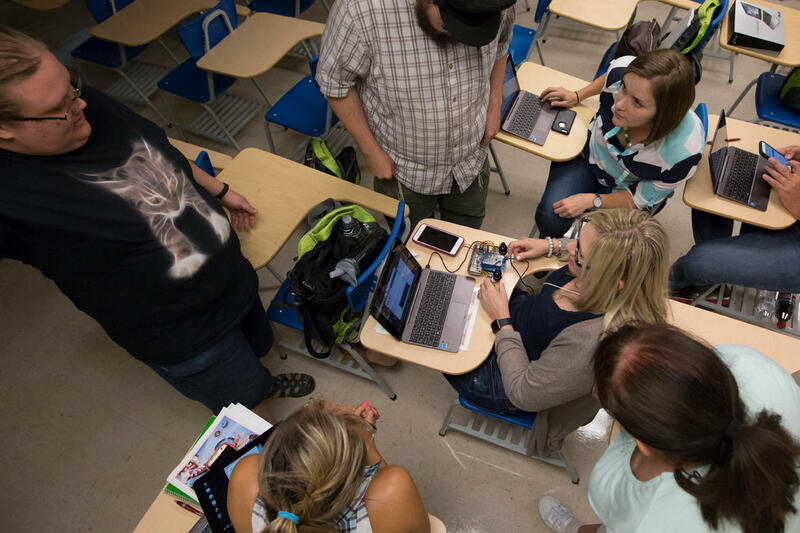 Missouri S&T faculty work with students on cyber security in a 2017 class. A team at Missouri University of Science and Technology has received a $1 million grant to research better kinds of cyber security. They aren’t looking to stop outside hackers — they want to stop threats from the inside. Facilities and systems like power grids, water plants and driverless cars could all benefit from the research funded by the National Science Foundation. “What we’re trying to do is make sure a system does what it’s supposed to do, even when things change and security or system failures are happening,” said Bruce McMillin, a professor of computer science at Missouri S&T. As an example, McMillin says a power grid may have the internal functions to shut down if a catastrophic failure is imminent. But if the system is tricked into thinking a problem is at hand, either by employee error or a broken sensor, shutting down the system might cause more damage. “We need to make all components of the system smarter, and work well with all the other pieces,” McMillin said. Another application could be driverless cars. McMillin said such cars are aware of what they and adjacent cars are doing, but one rogue malfunctioning car could jeopardize everything. He called it an important issue. “Maybe even more important than studying outside attackers.” Khan said. The three-year grant at S&T will primarily pay for graduate assistantships for masters and Ph.D candidates who study this area and work with other researchers at North Carolina State University, Purdue University and the Singapore University of Technology and Design. Original report can be found on NPR.